One of the complex challenges small and medium sized organizations face is efficiently keeping track of critical assets as their organizations scale. Without a reliable automated asset management system, there is a sharp increase in redundancies, expenditures, and labor. Imagine locating many diverse assets in a room in a matter of seconds, rather than hours. Because RFID technology reads multiple tags at once without requiring a line of sight, customers are able to more quickly and accurately locate and track assets without the physical challenges of scanning bar codes and manual methods. RFID Asset maximizes Radio Frequency Identification technology to automate asset tracking and management in a wide variety of environments and situations. 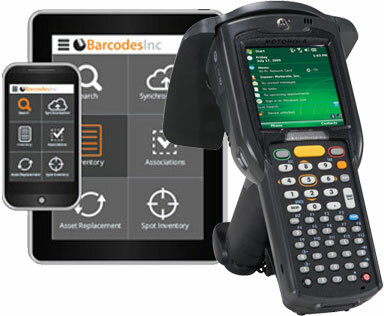 The software supports passive RFID tags, barcodes, fixed readers like the Zebra FX7500 and mobile handheld readers like Zebra’s MC3190-Z and MC9190-Z.